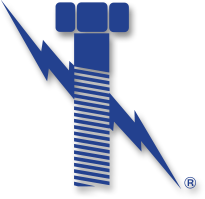 Lightning Bolt & Supply is your one-stop source for large diameter standard and metric fasteners. Regardless of the material, plating, or testing requirements; we can make it happen! Our fastener experts will exceed your projects needs. Our capabilities run up to 6” in Diameter and 150mm. Let us know your expectations. Regardless if it’s domestic and imported material, Lightning Bolt has you covered. No matter the spec, our experts will consistently provide you with the “perfect order”. Why Lightning Bolt for Large Diameter Fasteners?